In this podcast, Ricardo continues to talk about the Milestone Trend Analysis (MTA), a very good graphical tool used in executive reports. Today, he explains how to analyze the graphic you built last week, understanding the evolution trends of your project. 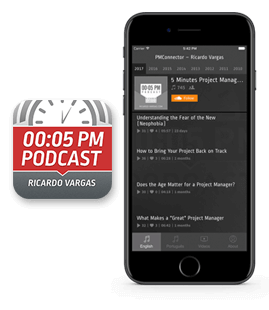 In this podcast, Ricardo talks about the Milestone Trend Analysis (MTA), a very good graphical tool used in executive reports. He shows how to make it step-by-step using pencil, paper and a ruler. Don’t forget to see the presentation related to this podcast.